Not for Profit organisations need to develop a tight risk management plan when taking on celebrities to endorse a cause, says Swinburne's Dr Branigan. The audit commission will produce half-baked results if it does not look at poorly targeted tax breaks on super. Swinburne Pro Vice-Chancellor (Research) Matthew Bailes says authoritative opinions on climate science are best sought from expert researchers. Swinburne Dr Sean McNelis has released a new book that attempts to improve the quality of research being undertaken. 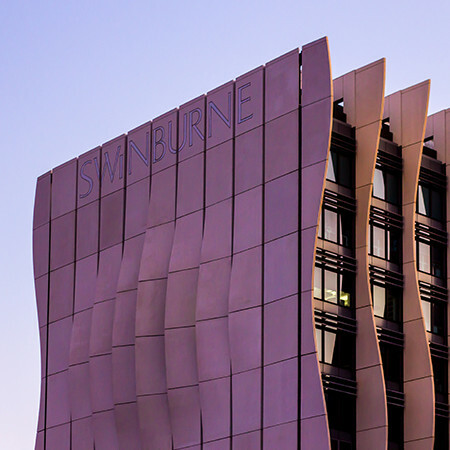 Swinburne students will be among the first beneficiaries of new scholarship fund. Australia faces a fall in living standards unless policy action is taken, due to a loss of economic complexity, says Swinburne Professor Goran Roos. Melbourne motorists are paying the most for petrol, with research revealing petrol profit margins are higher than any other capital city. Swinburne Doctoral candidate Myles Russell Cook explores the relationship between Indigenous people and the design world at large.